The Government is likely to promulgate an ordinance to end the effect of the old Rs. 500 and Rs. 1000 notes as legal tender. Why is this required? Because the Reserve Bank of India or any other bank cannot by itself refuse to accept any valid notes unless they are declared to be ‘not legal tender’ by an Act of the Parliament. An Ordinance is a temporary measure taken by the Government when an Act cannot be passed immediately. Hence, the Ordinance is likely to be promulgated. This also means that the Parliament will have to approve the Ordinance within six weeks since the Ordinance is promulgated. (because after that, the ordinance will expire). Suresh Kalmadi and Abhay Singh Chautala have been named Honorary Lifetime Presidents of the Indian Olympic Association. The move was quite shocking considering that both of these men have been accused of scams and controversies. 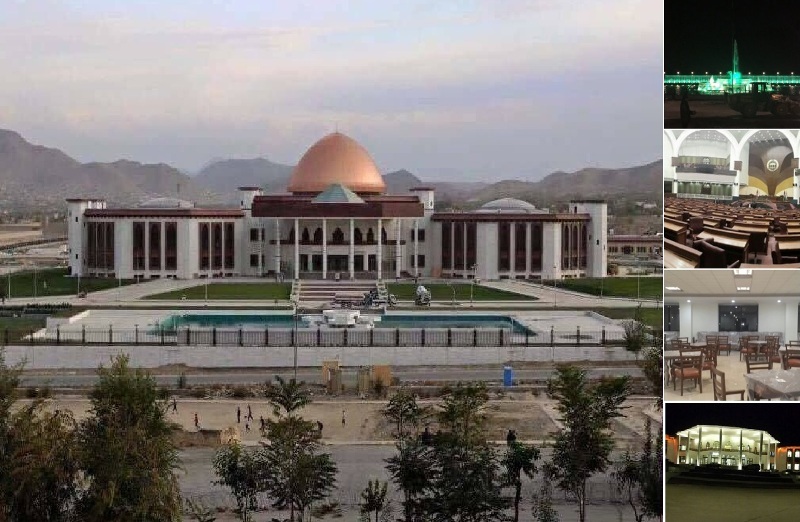 India has built the Parliament building of Afghanistan. India has also constructed the Salma Dam (also called India-Afghan Friendship dam) on Hari River which will generate power as well as supply water for irrigation purposes. President of Afghanistan Ashraf Ghani sees Pakistan as an exporter of terror and base of Taliban which disrupts Afghanistan Government. The Quadrilateral Cooperation Group consisting of US, China, Pakistan, and Afghanistan failed to do much. Rivers Ken and Betwa, the two tributaries of Yamuna River, are being inter-linked. Clearance was given by the National Board for Wildlife. The project will link these two rivers by a 221 Kilometre canal which will supply Ken’s water to Betwa. This canal will go through Panna Tiger Reserve in Madhya Pradesh which has caused many apprehensions that it will hurt Tiger habitations and populations. However, it is many benefits such as water supply for drinking, irrigation, etc. National Board for Wildlife is a statutory organisation, meaning that it has been established under a statute passed by the Parliament i.e., the Wildlife Protection Act, 1972. The Board is chaired by the Prime Minister and the vice-chairman is the Minister of Environment. Ajmer-Sealdah Express derailed at Kanpur killing two people. The frequency of railway accidents has increased lately. This is due our failing obsolete technology and extreme foggy weather. What can be done to prevent these? Anil Kakodkar Committee on Railway Safety has recommended that we should start replacing the present coaches with Link-Hoffman Busch (LHB) coaches because they have a technology where they do not turtle when they get derailed. Only 10% of our coaches, mainly Rajdhani and Shatabdi, are LHS coaches. The Ministry of Health in collaboration with AIIMS is creating a National Death Registry. The aim is to record the causes of deaths across the hospitals of India. This will help the Government trace out the biggest causes of death and design policies specifically to tackle such conditions. The Registry will follow a Systemized Nomenclature of Medicine (SNOMED) for this purpose. The Cabinet approved Framework Agreement on International Solar Alliance (ISA). This Agreement was signed by India at Paris on the sidelines of the Climate Change conference held in November 2015. The ISA is a group of 121 countries which fall between the Tropic of Cancer and the Tropic of Capricorn. This area receives adequate sunlight enough to produce sustainable solar energy. The Secretariat of ISA has been established in Gurugram. The idea is to develop technologies, improve efficiency, and encourage countries to create solar power in order to tackle the climate change problems. The Central Government has released funds for the construction of Indira Sagar Project, which is also called as the Polavaram It is being constructed on the Godavari River at the border of Telangana and Andhra Pradesh. This project has been given national status. While there are many benefits such as irrigation and drinking water supply, the project also faces controversies because many villages and tribal habitats will be submerged and displaced in both the states. National Games of 2022 will be held in Meghalaya. This year will mark 50th anniversary of Meghalaya’s state creation. National Games were not held in 2016. They were supposed to be held in Goa, but the State Government announced that they would be held in the year 2017. The first National Games were held in Delhi in 1924. Cricket Australia has named Virat Kohli the ODI Captain of the Year 2016. Which of the following statements is not incorrect? Which of the following countries is not a part of the Quadrilateral Cooperation Council for Afghanistan? Which of the following statements in unlike the others? Which of the following committees reported on Railway Safety? Which of the following statements are not wrong? Indira Sagar Project (Polavaram) is proposed to be constructed on which river? Where will the 2017 National Games be held?